Pick up your FREE 2017 Calendar! Your free 2017 Pope Francis wall calendar is available at Our Lady of Wisdom. These calendars, produced by Catholic Extension are sponsored by Walton’s Funeral Home and Our Mother of Sorrows Catholic Cemetery. 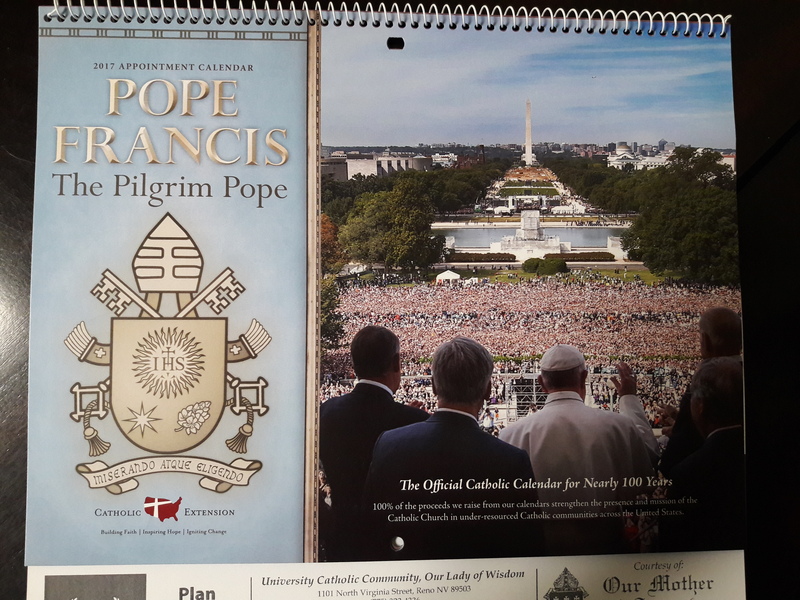 This wall calendar includes the Liturgical schedule, holy days of obligation, Solemnities, feasts and days of fast and abstinence. Pick one up in the office or the vestibule.